Tests World > Fun > Quiz: Is he the one? Want to find out if he's the one? Enough time waiting and losing sleep, take this quick love test and find out if he's the one for you after all! Does he do lots of small gestures? Have you talked about your future together? Do you have similar interests? Does he get on well with your family? Does he spend more time with you than his friends? Does he seem his happiest when he's with you? Can you see your future with him? Is he a party animal, or does he prefer staying in and cuddling with you? Our relationship is a constant argument! How often does he say i love you each week? If you are looking for your Mr Forever, you are wasting your time with this one. He is perfect for the time being but in the long run, you aren’t compatible with each other. You are too different and you want different things. You now need to think carefully. Do you want to continue with this boy or do you want to end it and keep searching for Prince Charming? What ever you decide, don’t rush into anything and make sure you think about your decision carefully! So, this guy definitely has the potential to be your Mr Right, but you need to take things slow and don’t rush him. He will be easily scared by any signs of serious commitment. Take things slow and keep things how they are. That way cupid arrows will be flying in the air in no time and the next thing you’ll know is your dad is walking you down the aisle! He is definitely the one for you! You’ve done it! You’ve found you Mr Right! You are so compatible that you could be one person! He is definitely a keeper so don’t try and scare him off with wedding bells just yet. Take things slow and keep them as they are, but one thing is for sure, he is the one for you! Is he the one? A question that many women think about! Will i spend the rest of my life with this guy? Nobody knows...except the is he the one love quiz!! 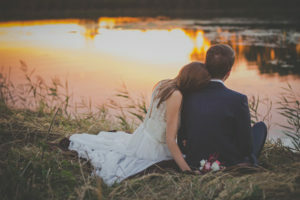 You want a relationship that will last, and you feel very happy that you've found him. But is he the one? Can you see yourself having a future together, getting married, being together forever? Take the test and find out! You shouldn't be with someone if they aren't the one, don't waste your time and effort on someone who won't be there in 10 years! Enough time waiting and losing sleep, take this quick and easy test and find out if he's the one for you after all!